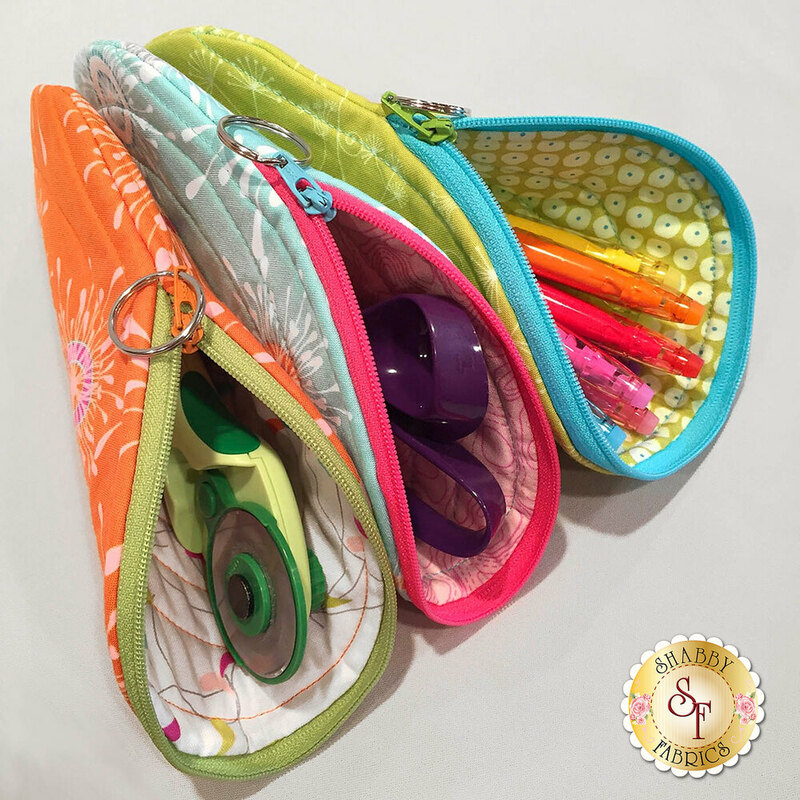 These darling zippered pouches are a fun and quick project perfect for using a layer cake or a 10" square of your favorite fabric! 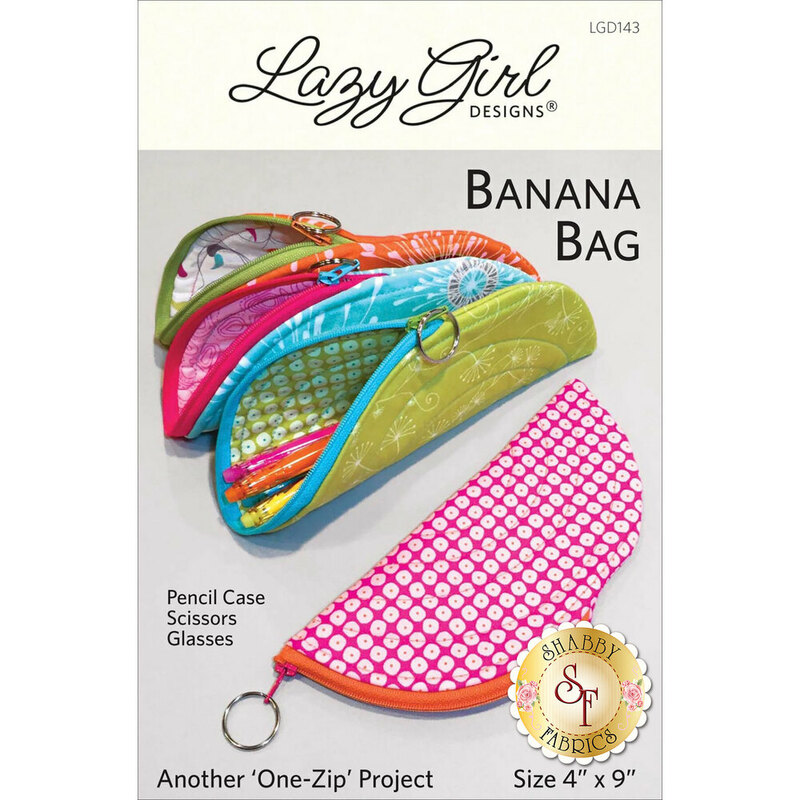 These little Banana Bags are ideal for pencil cases, scissor and notion cases, glasses holder and so much more! 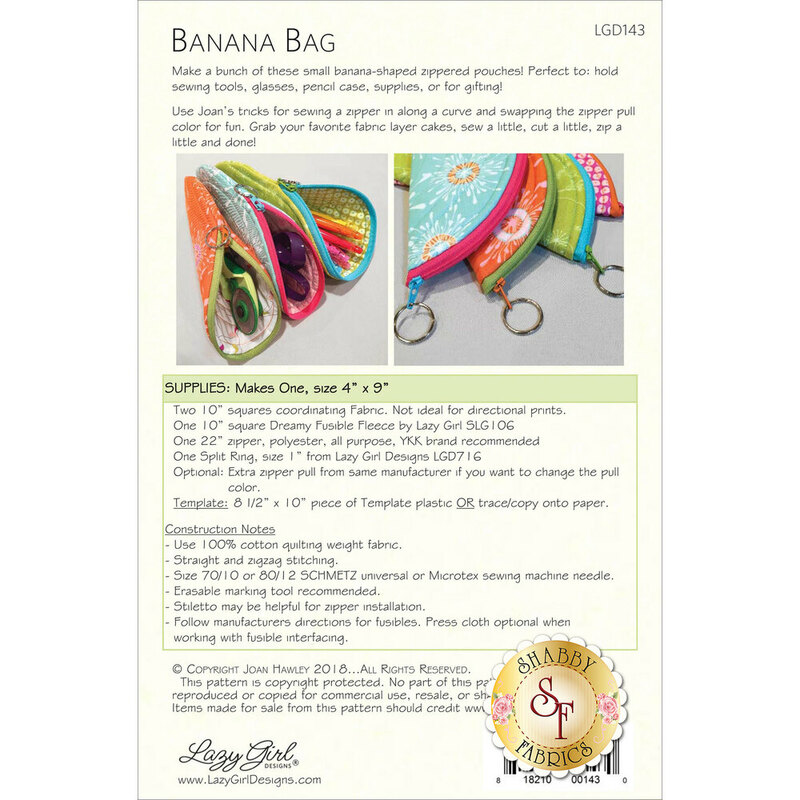 Banana Bags measure approximately 4" x 9".